The trumpet adaptor allows a cornet mouthpiece to be used in the trumpet. A quick and easy way to help cornet players play the trumpet. 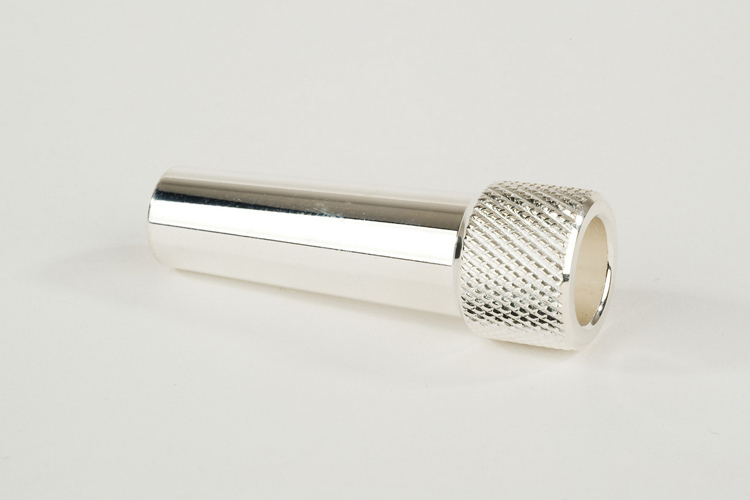 Cornet mouthpieces are sometimes used by professional trumpet players to give a beautifully round sound and easy attack in exposed, quiet low-register entries, such as the 2nd trumpet part of the Beethoven Violin Concerto.Beautifully machined and with a silver-plate finish.